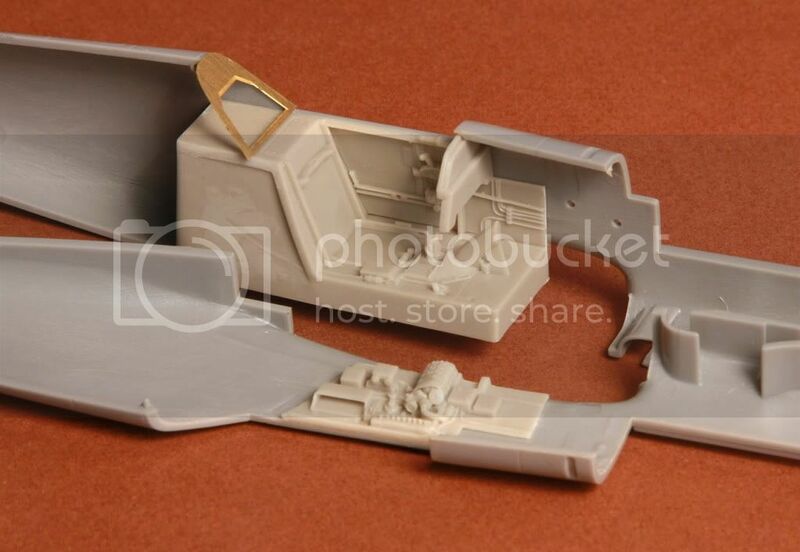 S.B.S Model have expanded their range of super-detailed WW2 fighter cockpits with the release of a complete replacement "office" for the Hasegawa and Tamiya Bf 109Es. The parts are beautifully cast - perfectly, in fact, because there's not a blemish in sight. All the parts come on casting-plinths, so a bit of preparation is required - and the one for the seat will need particular care to remove in order not to spoil the integral lever. The main floor / tub is a pretty major chunk of resin, but thankfully it's intended to fit without surgery or thinning the part. The detail throughout on the resin parts is excellent. The sidewalls are particularly nice, as is the seat, which features realistically draped lap belts. What sets S.B.S Model apart from some other aftermarket producers is that they don't rely slavishly on just one medium. Instead, they work to its strengths and then switch where appropriate to another. So, in the case of the seat, the shoulder harness is etched brass. This means it can be draped over the side of the cockpit, as seen so often in photos. Many of the other cockpit details are brass too, including new rudder pedals and their straps, trim wheels and small levers plus, of course, the multi-part main instrument panel, complete with a printed film for the instrument faces themselves. 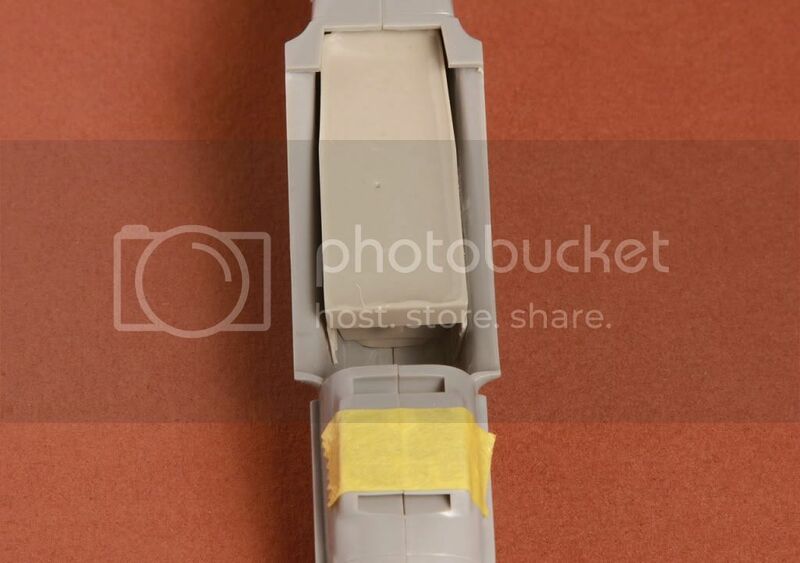 The other interesting thing is that S.B.S Model have designed their set to fit both the Tamiya and Hasegawa kits - when what's obvious as soon as you examine the kits is that the contours of their fuselages is slightly different. So, how have S.B.S managed it? 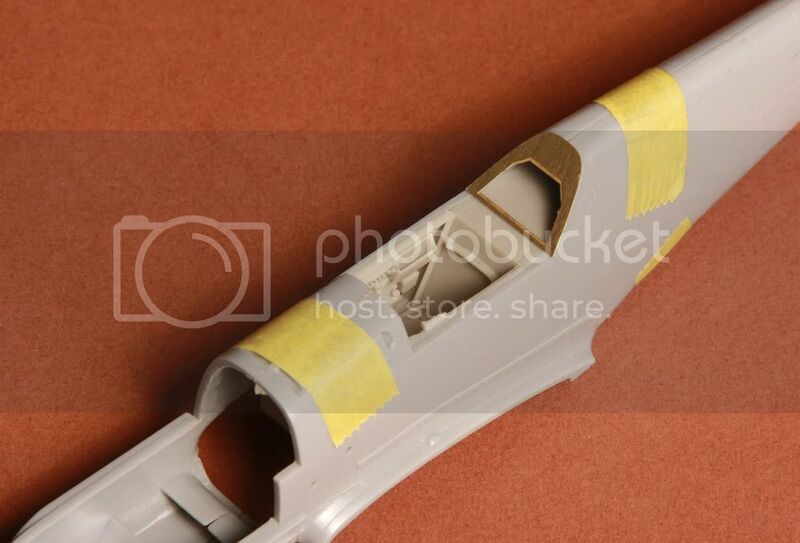 Easy - alternative parts t fit each kit; there are two different resin backing plates for the instrument panel, and a choice of etched panels to fit under the rear section of the canopy. Simple, yet very innovative. What also sets this aftermarket upgrade apart from many of its rivals is the instructions. Along with clearly drawn assembly diagrams that outline the different modifications needed for the Tamiya and Hasegawa models, there's a superb painting guide with every lever and component keyed to a colour chart. 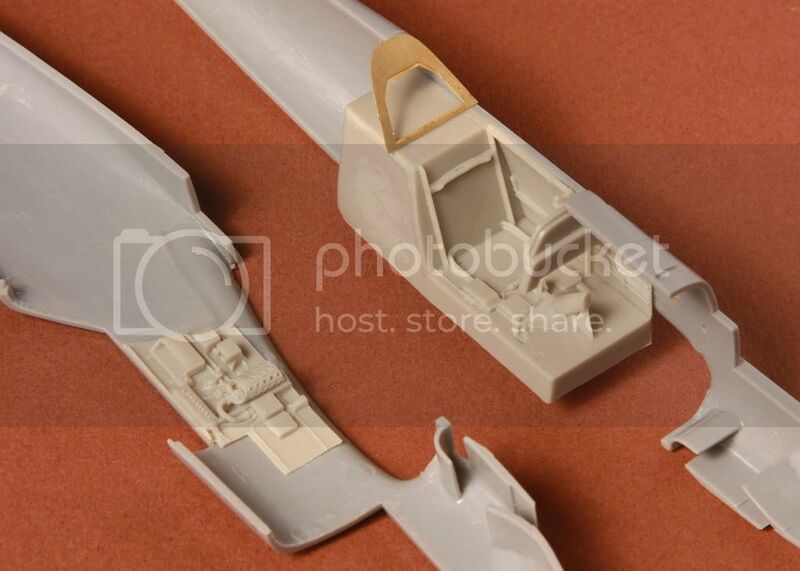 I really can't fault S.B,S Model's Bf 109E cockpit set. It combines the strengths of both the best resin and the best etched sets for really well-rounded package that thoroughly deserves to be a great success. It's not overly complex, yet packs in masses of detail, so it's ideal for intermediate modellers upwards. With a Battle of Britain campaign looming next year, I won't hesitate to use this, should I build a '109. Highly recommended. Highs: Excellent detail and perfect casting. Instructions feature a detailed painting guide. Verdict: Cleverly designed to complement both the most popular quarterscale Emils, whether you're building the Hasegawa or the Tamiya kit, S.B.S Model's set provides a real gem of an "office". Hi Rowan Not trying to sabotage this review or thread! But if I am not wrong there are only separate dash boards and the PE. My comment is not aimed at accuracy (scale thickness!!!) but rather fit ... all the best Steffen P.S: Seems i have problems to (ex)press my thoughts into understandable sentences today: What I mean is, that I would prefer a specifical designed set for a kit over a generalized "suits all sizes" appoach. Just a note, SBS Model is a Hungarian outfit, not German.